Once set in their ways, people are resistant to change. 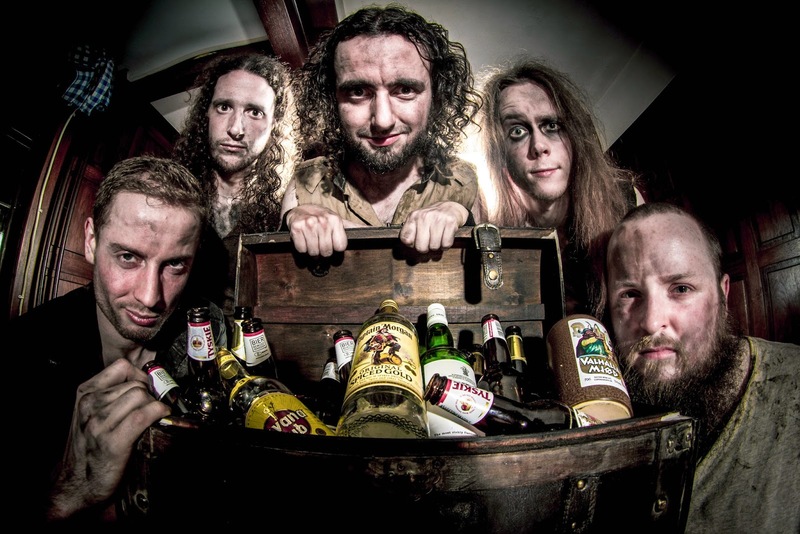 Alestorm is no exception, either, because, over the past six years, they have famously chugged away releasing albums too similar to one another to justify the expense of splurging on their music. Sunset on the Golden Age is an exception, however, because it's the first record to truly rework the band's patented combination of pirate banter and heavy metal. On top of that, too, is improved musicianship, tighter songwriting, and none of the slop that plagued their previous three albums. Yes, Alestorm finally sounds professional, and although none of the frilly humor is gone, the change is more marked than one might think. But fear not because the banter is still as prevalent as it has ever been: "1741" begins tongue pressed firmly in cheek with a bouncy 8-bit intro, while "Wooden Leg" hilariously laments the loss of a priate's legs to a pesky cannon ball attack. Yet neither are as puzzling as the cover of Taio Cruz's "Hangover," a track Alestorm retooled specifically for pirates. It's a curve ball, but it's a damn good one. 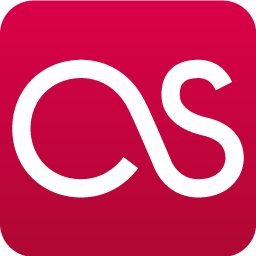 Past that, changes are most noticeable when listening to the album as a whole, with the songs in order, as intended by the track listing (that way, one can compare the funny with the serious!). The opener, "Walk the Plank," kicks off with a flamboyant, trumpet-led synth line, followed by a riff that literally leaves a footprint wherever played--it's as massive as a riff can be, and among the heaviest of Alestorm's career. On the other hand, "Magnetic North" introduces new elements for the band, notably a bass drop or two, common to -core music and slam-oriented death metal. 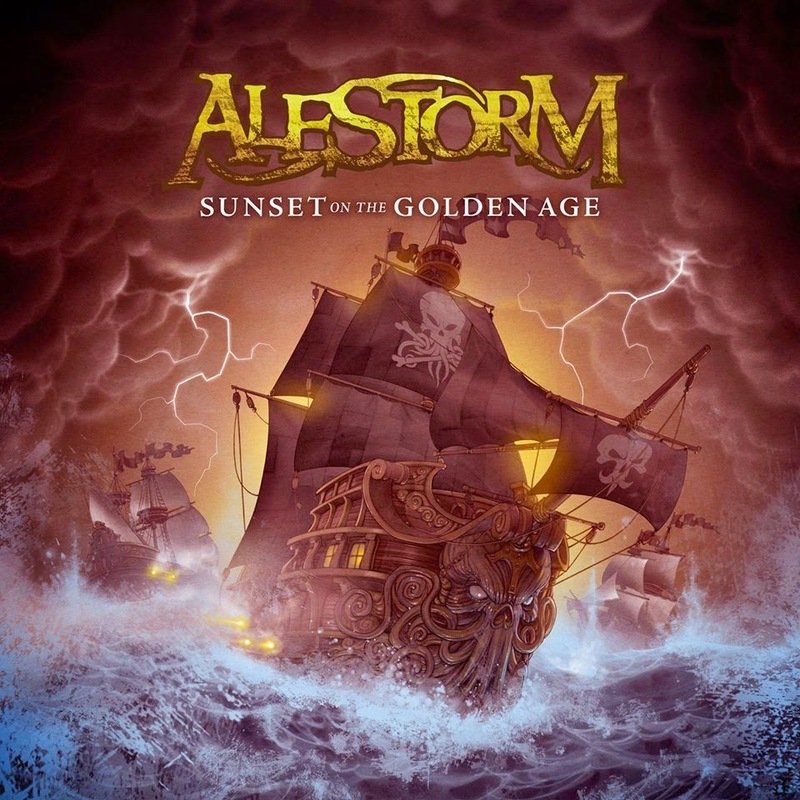 The mixture of new and old, while incorporating bits from across metaldom and different genres of music, makes Sunset on the Golden Age Alestorm's most ambitious record to date. With that ambition, the five-piece concludes the album with an epic of the same name, clocking in at a staggering 11 1/2 minutes. Any thought of Alestorm being a joke automatically flies out the window from the moment the track begins; it climbs, falls, and journeys for its lengthy runtime, just as a ship would traversing the sea for treasure or sailing into battle. If a song could represent a pirate's thirst for glory, fame, and wealth, "Sunset on the Golden Age" would be it. ...and then there's the fact that one must wait a few more years for another Alestorm record. Can they maintain the same level of excellence? Have they set the bar too high? One can't help but wonder, but whatever the case may be, Sunset on the Golden Age is currently the shining gem in the band's discography, capable of putting their antics back on the map. Their first few records were admittedly cliché, but this is fresh and the result of blood, sweat, and tears. That surely amounts to something, doesn't it? Oh, more than you know. Grab this record ASAP.